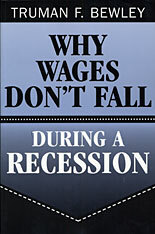 A deep question in economics is why wages and salaries don’t fall during recessions. This is not true of other prices, which adjust relatively quickly to reflect changes in demand and supply. Although economists have posited many theories to account for wage rigidity, none is satisfactory. Eschewing “top-down” theorizing, Truman Bewley explored the puzzle by interviewing—during the recession of the early 1990s—over three hundred business executives and labor leaders as well as professional recruiters and advisors to the unemployed. By taking this approach, gaining the confidence of his interlocutors and asking them detailed questions in a nonstructured way, he was able to uncover empirically the circumstances that give rise to wage rigidity. He found that the executives were averse to cutting wages of either current employees or new hires, even during the economic downturn when demand for their products fell sharply. They believed that cutting wages would hurt morale, which they felt was critical in gaining the cooperation of their employees and in convincing them to internalize the managers’ objectives for the company. 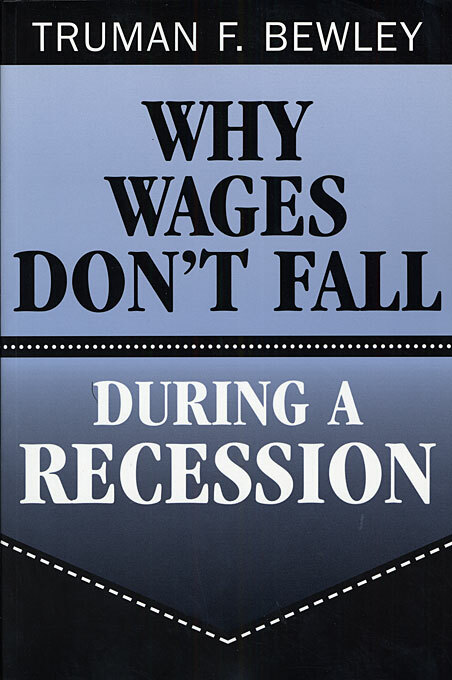 Bewley’s findings contradict most theories of wage rigidity and provide fascinating insights into the problems businesses face that prevent labor markets from clearing.